Five troubled teenagers fall into prostitution as they search for freedom, safety, community, family, and love in this #1 New York Times bestselling novel from Ellen Hopkins. Five teenagers from different parts of the country. Three girls. Two guys. Four straight. One gay. Some rich. Some poor. Some from great families. Some with no one at all. All living their lives as best they can, but all searching…for freedom, safety, community, family, love. What they don’t expect, though, is all that can happen when those powerful little words “I love you” are said for all the wrong reasons. 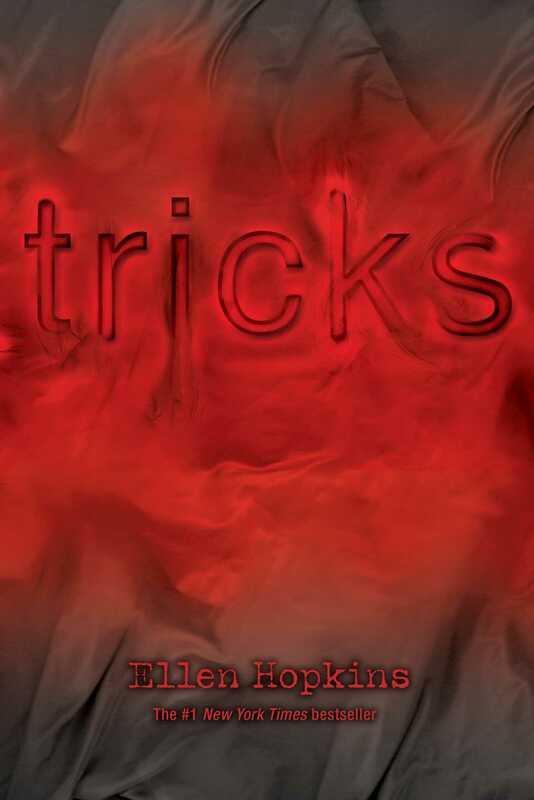 A brilliant achievement from New York Times bestselling author Ellen Hopkins—who has been called “the bestselling living poet in the country” by Mediabistro.com—Tricks is a book that turns you on and repels you at the same time. Just like so much of life. Meet five teens: Eden Streit, Seth Parnell, Whitney Lang, Ginger Cordell, and Cody Bennett. They're from different walks of life--some are rich; some are poor; some are from nuclear families; others are not. Regardless of upbringing, they share common needs: love, acceptance, safety, and family. Eden has a secret love affair and is the daughter of a hellfire-and-brimstone preaching father; Seth, aching over the death of his mother, is a gay farm kid and hides his sexuality from his father; Whitney is good-looking and smart, but lives in the shadow of her "better" older sister and her critical mother and semi-absent father; Ginger lives in poverty with her drug-using, sexually deviant, and abusive mother; and Cody, suffering the loss of his stepfather, shoulders his mother's emotional and financial needs. All five are betrayed or "tricked" by someone they love and turn down brutal paths in which they experience even deeper deception. What will they do to be loved? To survive? Can they return home? Their stories begin in alternating vignettes and interweave into one explosive Las Vegas ending. Ellen Hopkins grew up in Palm Springs, California, and attended a private school. An adopted child, she studied ballet, jazz, tap, hula, and modern dancing and also rode horses. Her love of writing began in elementary school at the age of nine when she published a poem in the Palm Springs Desert Sun. After high school, she attended the University of California, Santa Barbara, and studied journalism. 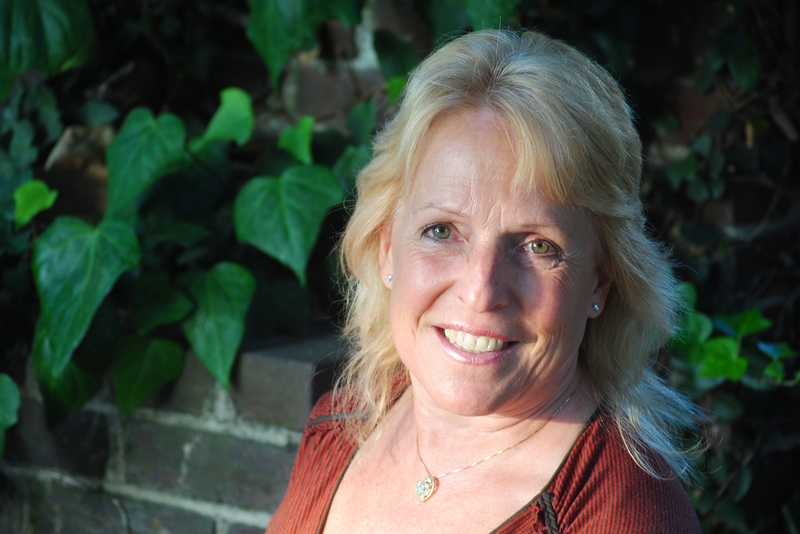 She has written short stories and poetry and worked as a freelance journalist, scriptwriter, editor, and instructor. Her works delve into difficult subjects such as drugs, physical and emotional abuse, sexuality, family relationships, identity, suicide, religion, and prostitution. She has written five additional young adult novels: Crank, Burned, Impulse, Glass, and Identical, and all five have found their way onto the New York Times Top Ten bestsellers list. A sequel to Crank and Glass--Fallout--is scheduled for release in 2010, and Perfect should be released in 2011. She lives with her family in Carson City, Nevada. The idea for Tricks came from reading that the average age of a teen female prostitute in the United States is twelve. After discovering this statistic, Hopkins wanted to write a story illustrating how teens engage in prostitution for different reasons. Ask students to respond to the following questions: 1) What are you willing to do to survive? 2) To what extent are you willing to give up or alter your belief system for the sake of survival? 3) What inferences can you make from the title? Hopkins introduces readers to the five key characters--Eden, Seth, Whitney, Ginger, and Cody--in the first 83 pages in a series of unrelated vignettes. In what ways are their lives alike? How are they different? Why does each fall so deeply and so easily in love? Two of the five central characters come from intact, traditional families; two have lost a parent; and another lives with her mother and grandmother. Some argue a traditional family is the "best" environment in which to raise a family, yet all five teens end up selling themselves. Why? What elements are needed for a healthy family environment? In what way is each character (Eden, Seth, Whitney, Ginger, and Cody) deceived by his/her family? In what way is each character deceived by a boyfriend and/or girlfriend? Tricks is written in verse. In what way does this style enable Hopkins to explore characters' thoughts? Identify one passage for each main character in which the character's thoughts are revealed. What does the passage tell us about the character? What effect does verse writing have on the reader? How does it contribute to the overall story? Each central character develops at least one significant relationship once he/she leaves home. Choose any relationship and explain what draws the two together. What holds them together and/or drives them apart? Use passages to support your thoughts. One might argue that the five central characters are "emotional infants." Choose any two and compare and contrast their emotional growth. How does each character feel about himself/herself in the opening of the book? How do those feelings change toward the middle and the end of the story and why? Of the five stories, which are you drawn to the most? Why? Hopkins uses plot and setting to weave the five stories together. Explain how the lives of the five teens intersect in the end. Does the manner in which Hopkins brings closure to each character's story seem realistic? Explain. Tricks is a raw, honest, and brutal read. How might reactions to this story be different if it were written as nonfiction as opposed to fiction? What advantages and disadvantages do you see? Numerous minor characters exist in the story, many of whom are predators. Each central character can be associated with at least one. Choose one such minor character (ex. Bryn) and explain what motivates him/her. How does he/she manipulate the central character? Why does the central character not see the manipulation in the beginning? Can you think of ways that teens can be better educated to recognize manipulation? At least two of the central characters (Seth and Eden) are sent away from home by their families. Is being cared for by one's family a right or privilege earned? Explain. Who is responsible for what happens to Eden, Seth, Whitney, Ginger, and Cody in the end? There are a number of chilling and defining scenes in the lives of each central character. Identify one such scene for each character and discuss what choices each character had in that moment. Many teens today end up as prostitutes: Some are runaways; others are abducted. In your opinion, what can we do as a society to prevent teen prostitution and human trafficking and save those who end up on the streets? Research teen prostitution by reading nonfiction articles on teen prostitution and/or viewing a documentary on teens living on the streets (ex., Very Young Girls, a documentary of preadolescent minority girls serving as prostitutes in New York City). What similarities can you draw between the fictional characters and the real characters? To gain a global understanding of child/teen prostitution and a deeper understanding of the enormity of the problem, read and discuss works that delve into the horrors of child/teen prostitution and human trafficking in third-world countries (ex., National Book Award finalist, Sold, by Patricia McCormick). Develop a presentation (possibly PowerPoint) in which you compare and contrast the lives of young prostitutes living in America with those living in another country (Sold takes place in India). Based on research in the area of child/teen prostitution and human trafficking, develop a website, wiki, or iMovie about what you learned and include information about how others can help as well as resources for child/teen victims. All five teens lose their adolescent years. Imagine you could reconstruct their lives. Given you couldn't change their families' behavior and/or responses, outline ways in which you would arm them to deal with their families and the predators that come into their lives. Write a poem about some troubling or difficult aspect of your life (such as a strained relationship with a loved one or a time when you were deeply hurt emotionally or physically), and explore how writing in verse allows you to express your feelings. Hold a fundraising event for a local organization that supports troubled youth. Invite a guest speaker to your school/group who has experience in the area of child/teen prostitution and human trafficking. Have students prepare for the visit by generating a group of questions they would like to ask.